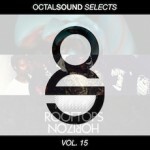 Get low with Octal Sound Selects! This week we have a series of new tracks chocked full of heavy 808 and earth shaking bass. We dive right in with Kan~G’s original tune ‘Kings Of Neverland’, a club banger that juxtaposes a lightly played harp with hard hitting trap sound. Next up is Ekali & Gravez’ Remix of Denzel Curry – ‘Threatz’. This track starts off lighter with an Arabian undertone but quickly moves to a heavier and darker trap sound, which wonderfully highlights the hard hitting verses. Finally we chill heavy with Da-Bow’s ‘1,2,3’. With his unique take on bass music, Da-Bow is an emerging artist who never fails to turn heads with his textural sound. Let your chain hang low and download this round of Octal Sound Selects for free HERE. Stay tuned for more!